Have your recent dates left something to be desired? Are you at the end of your rope trying to find the right person for that fun Friday on the town—and maybe a little something more? Maybe you’ve been going about it all wrong—picking your dates based on all the wrong criteria. Forget Hollywood good looks, fancy cars, and great taste in wine. Consider the virtues of dating a maintenance engineer. We think there’s a strong case to be made for going out with Mr. or Ms. Fix-It. When you work in maintenance, you rely on a broad array of skills to get the job done. Relationships are no different. Maintenance engineers know how to get the job done, so maybe it’s time you considered asking that new electrician or boiler tech to join you for dinner and a movie this weekend. 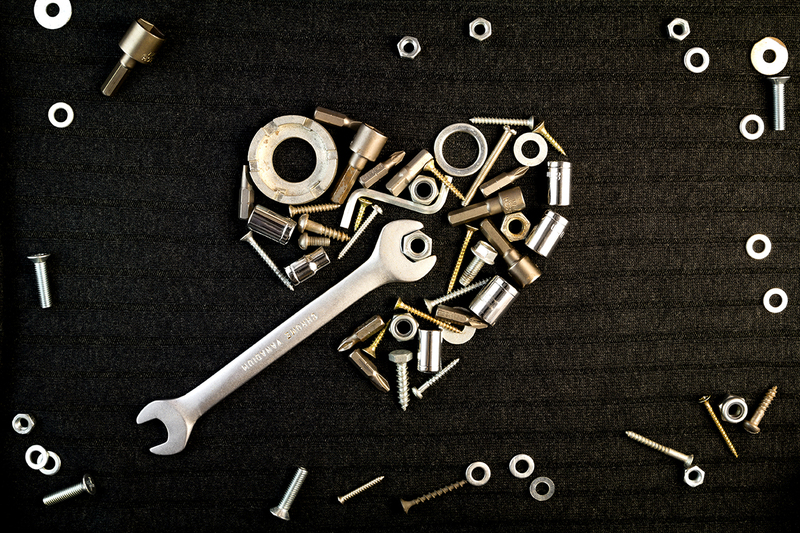 Here are our ten reasons to date a maintenance engineer. Maintenance technicians know how to prioritize. Tired of your date constantly checking emails or sports scores during your night out instead of paying attention to you? Maintenance workers juggle lots of information, but they know when to put the important stuff first. Go on a date with a maintenance worker and you’ll be the focus of attention—unless the line goes down back at the plant. Maintenance technicians can make big decisions. Frustrated by tedious conversations like: “What do you want to do?” “I don’t know, what do you want to do?” Yeah, us too. It’s maintenance department’s job to make big decisions about repairing or replacing assets. That knack for decision-making comes in handy whenever you are faced with important choices—like where to go for dinner or what movie to see. Maintenance technicians know the importance of scheduling. Is your girlfriend always “fashionably late”? Are you tired of always missing kickoff at the game or the first few songs of the concert because someone was “just a little behind”? Well, if you date a maintenance worker, you can be sure they’ll know how important scheduled events are to the “whole team” (i.e., both of you). Maintenance technicians are used to being the “go to” person. Tired of your dates canceling plans at the last minute? In the workplace, the maintenance workers are the ones you can count on when you need them. When you make a date with a maintenance tech, they show up with their tool belt in hand (figuratively, of course). Maintenance technicians know the importance of preventive maintenance. Did your last relationship fail because little things became big problems? No one understands better than the maintenance team why an ounce of prevention is worth a pound of cure. Preventive maintenance is the best way to thwart equipment breakdowns, and the same holds true for maintaining relationships—and preventing breakups. Maintenance technicians understand the importance of reliability. Looking for someone who does what they say and says what they mean? Maintenance technicians prefer things—and people—they can count on. When you date a maintenance tech, what you see is what you get. They don’t have time for anything else. Maintenance technicians know quality when they see it. Tired of the bait-and-switch of online dating profiles? The maintenance team knows shoddy workmanship or defective materials are simply more of a headache than they are worth. Upgrade your prospects and dial down the drama by dating a maintenance engineer. Maintenance technicians are quick to respond. Tired of waiting by the phone for that certain someone to call? Fast response time is a key part of the maintenance department’s job. You won’t be waiting around for a text from a maintenance worker. Maintenance technicians know how to approach a problem from a different perspective. Relationship problems often stem from different perspectives. Troubleshooting repairs requires seeing a problem from multiple angles. While the course of true love never did run smooth, maintenance techs can use this handy skill when faced with relationship glitches. Maintenance technicians are good with their hands. Well… that one speaks for itself. We find whatever it is we are looking for. So look for a maintenance tech near you. It might just be your best love story yet. Did we miss something? Let us hear from you about why maintenance people should be at the top of everyone's dating list. Reply in the comments below.